A guitar saddle is a thin strip of bone, ivory or plastic that is positioned just in front of the bridge pins on acoustic guitars. 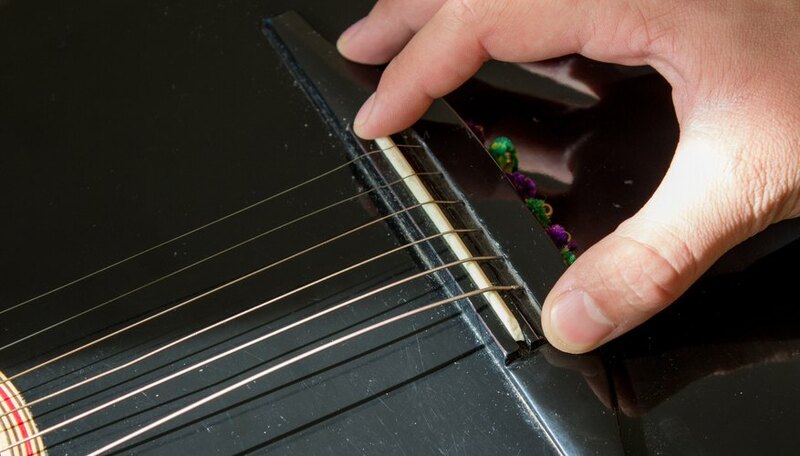 According to Fret Not Guitar Repair, the saddle and its placement affect three things: string length and intonation, string action (height) and tone. Tone, in particular, can vary depending on the material used to make the saddle. This article is about making a saddle out of bone, considered by guitar maker Frank Ford to be the best material for getting a rich tone. 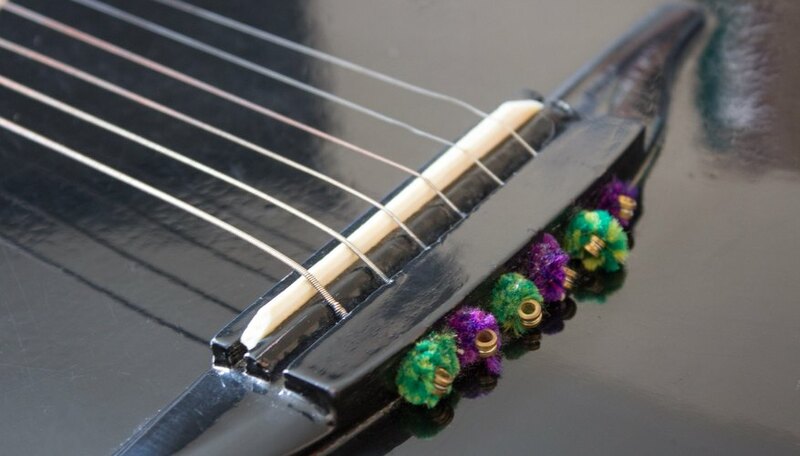 Remove the old saddle from your guitar. Place it on the bone blank and mark the length of the old saddle onto the blank. If you want the new saddle to be the same height as the old one, mark the height on the blank as well. 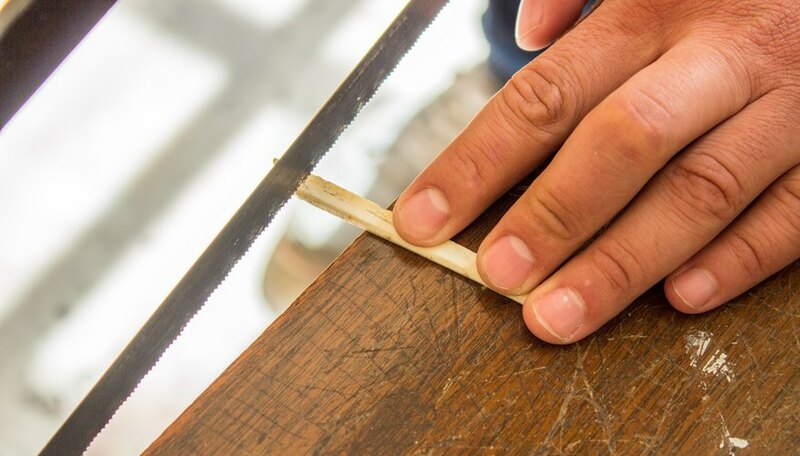 Clamp the blank in place and cut it using the hacksaw to approximately the same length and height you want, leaving a little margin for sanding and shaping. Clamp the sandpaper to a steady surface and place the saddle on it. 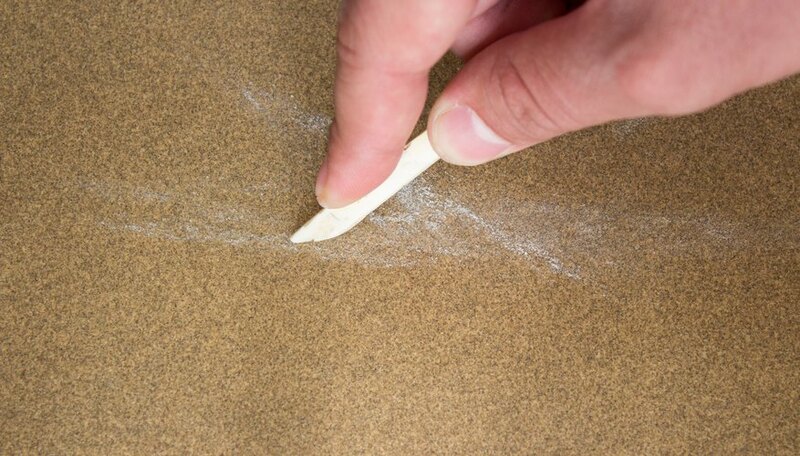 Using your fingers to provide continuous pressure, rub the blank back and forth on the sandpaper to flatten it evenly. Once the blank is fairly flat, start trying to fit it into the notch in the guitar. 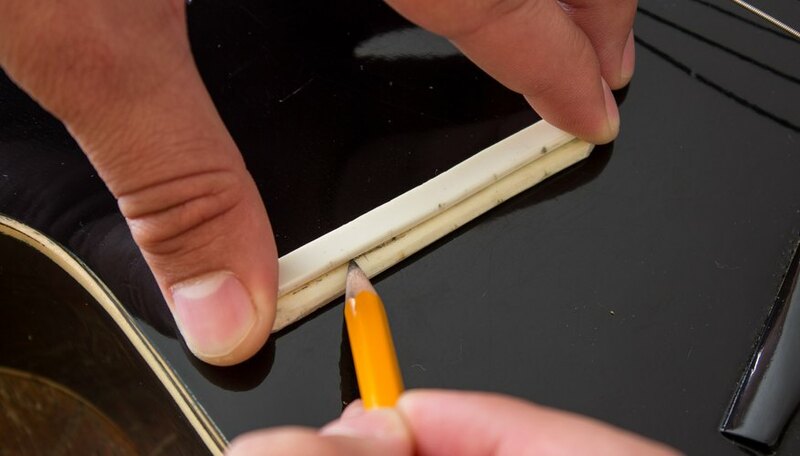 Continue to rub it on the sandpaper until it is just thin enough to fit into the notch. If the saddle becomes too thin, you'll need to start over. Round off the corners of the blank on the sandpaper as well. Mark the ends as treble and bass. Rub the saddle on the sandpaper again, this time to even out the top and bottom. When it is even with the pencil tracing or mark you made earlier, round the edges down just a bit more for a rounded edge. Put the finished saddle back into the notch and re-string the guitar. Check the thickness and height of the saddle after every few passes on the sandpaper. 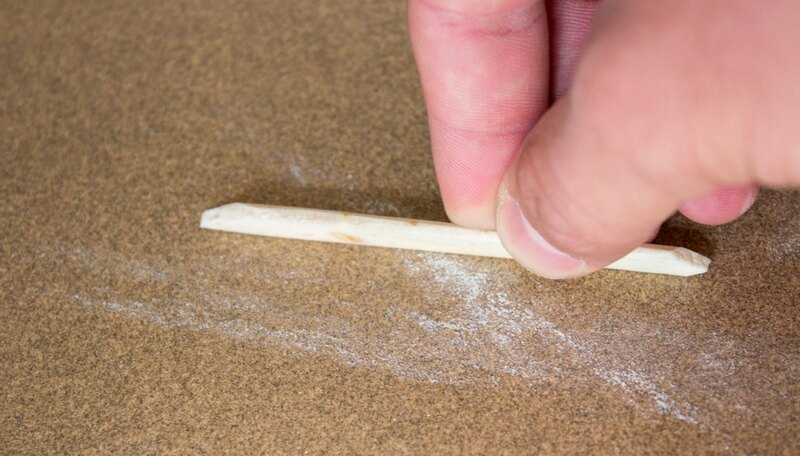 Use four fingers to apply pressure when sanding.